"Out here survival is everything." Captain Phillips is based on the true story of the hijacking of MV Maersk Alabama by Somali pirates in 2009. In this film, pirates attack the container ship off the coast of Somalia and are able to board prior to their boats being destroyed. The captain of the ship, Richard Phillips, is able to alert the United States Navy to the attack and instruct his crew to hide below deck, before he and several others are taken hostage on the bridge. Eventually, the attack leads to a standoff situation between the US Navy and the pirates. The role of Captain Richard Phillips is played by Tom Hanks, who has won Academy Awards for Best Actor in Philadelphia and Forest Gump. Following its debut at the New York Film Festival on September 28, 2013, the film has garnered fantastic reviews. 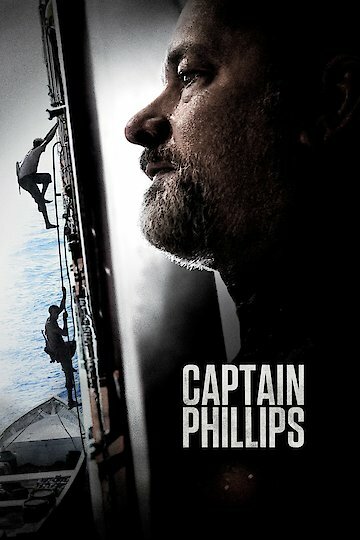 Captain Phillips is currently available to watch and stream, download, buy on demand at FuboTV, FX Networks, FX+, FOX, Amazon, Vudu, Google Play, FandangoNow, iTunes, YouTube VOD online.